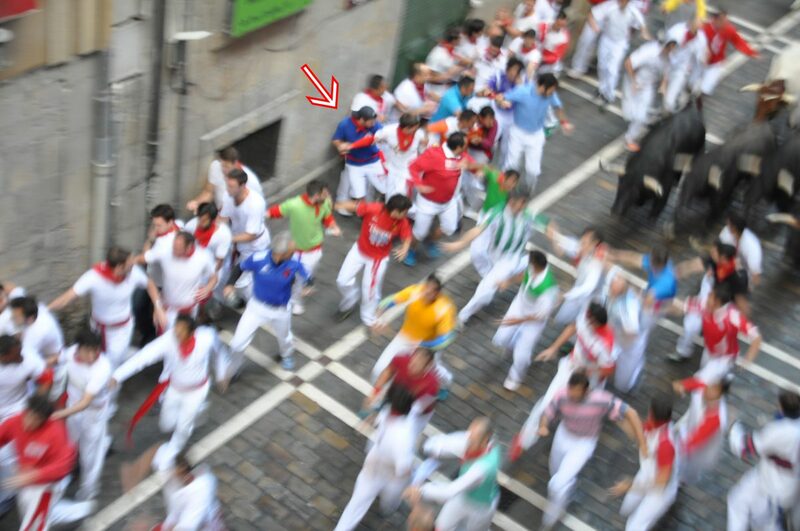 Hi, my name it Toby, and I’m in love with Running with the Bulls. There, I’ve admitted it. It started out as most first dates do: anticipation, nervousness, butterflies, endless unsolicited advice from friends…but after our first encounter was over, I knew it was meant to be. Half a decade later, it still takes several hours for me to come down from my adrenaline high after each date. 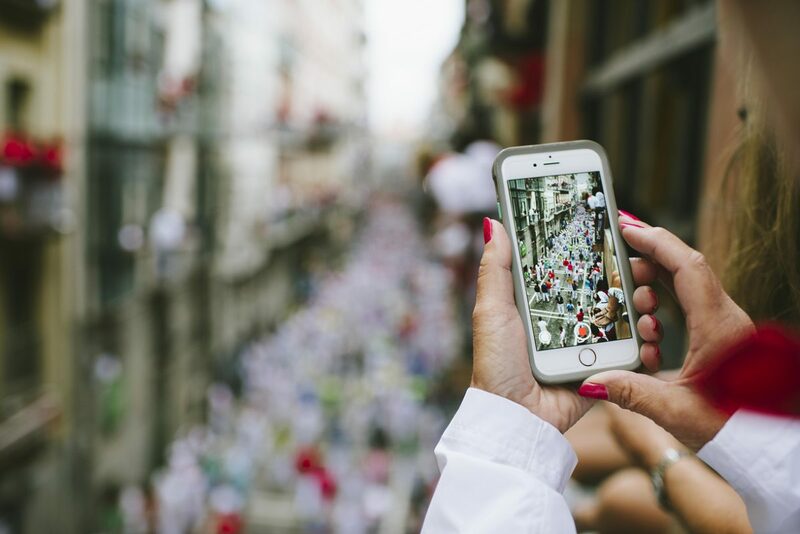 As you stand in the streets of Pamplona in the morning, you are on the cusp of participating in one of the most unique traditions in the world. What the next 3 or 4 minutes of your life holds is absolutely unpredictable, and that’s part of the excitement. 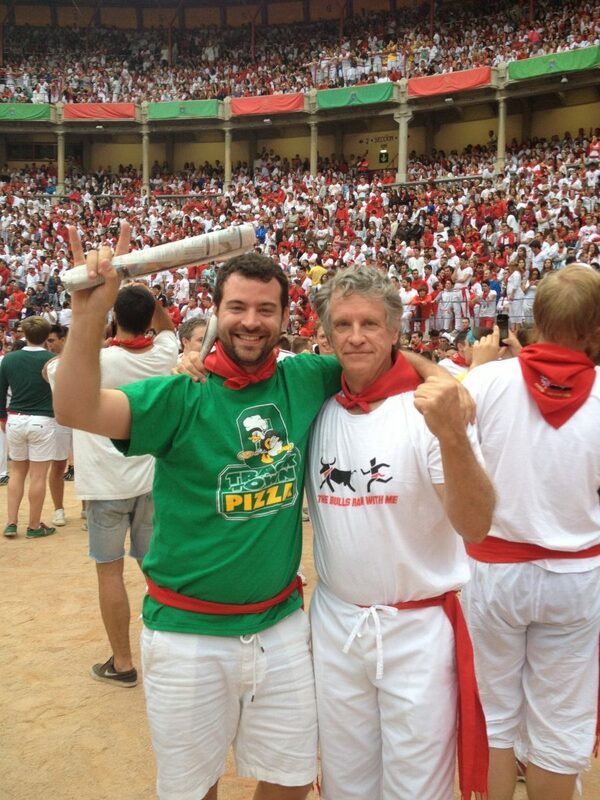 I’ve had all kinds of results in Pamplona. Some great runs, some terrible ones. I’ve ended up on my back, on my knees, on my face. I’ve done some things well, and I’ve certainly made some mistakes. We are here to set the right expectations as you consider testing your luck against 12 massive toros and steers. 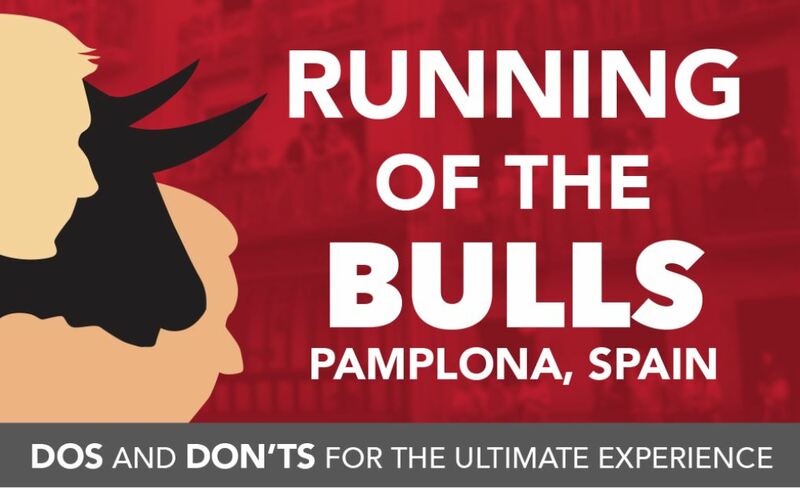 While there are thousands of theories and details we could go over, here are some basic bullet points you should know about how to run with the bulls in Spain. This is absolutely not an exaggeration. 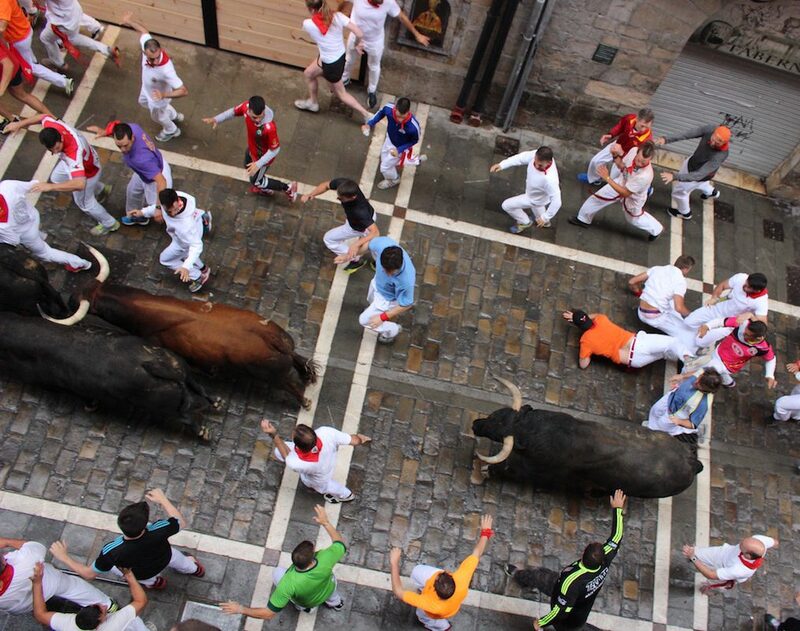 During the encierro, humans are far more dangerous than the bulls. In fact, almost all of the major gorings (and deaths) were caused by human missteps and misjudgments. Few things frustrate me more than some buzzed college student asking, “So which way do they bulls come” at 7:58 am. My nightmare scenario is causing someone else to get hurt because of my carelessness, even more so than being injured myself. No matter where you choose to begin your run, the odds of it going perfectly to plan is very slim. There are too many little factors – fallen runners, slick streets, drunk college students – that you can’t be disappointed if things don’t fall into line like you envision it. 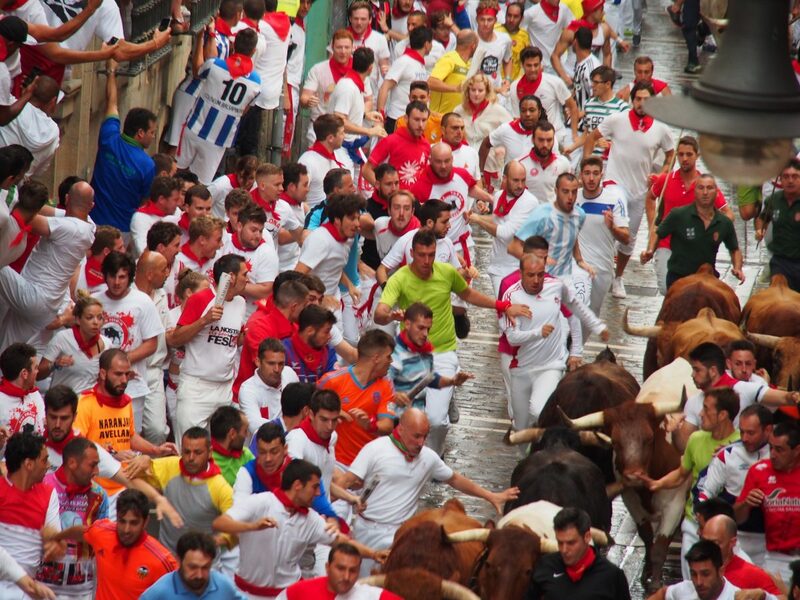 When you envision yourselves in the streets of Pamplona, I’m sure you fantasize a footrace with a herd of bovines on the cobblestone. No matter your level of condition or athleticism, your path will behold something that will slow you down, mostly humans. Look at it this way – there are professional runners who consider some 30 meters sprints to be a good run. It’s an epidemic. 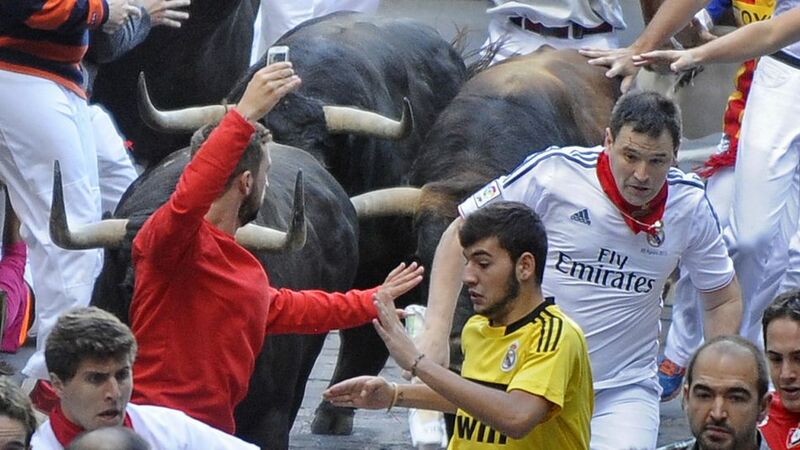 There are hundreds of idiots in the streets that have no intention of participating in the encierro except to capture an instagram worthy shot. You see it every morning. These folks line the walls and don’t move, thus becoming unnecessary obstacles in one of the most dangerous activities on the world. 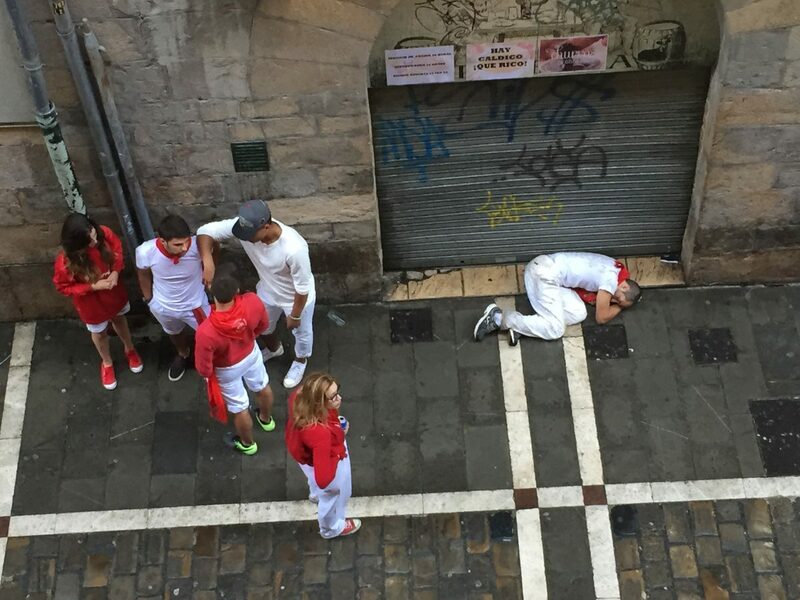 I say throw them all in jail, and that’s exactly what the police in Pamplona are beginning to do, so consider yourself warned. The run is already dangerous enough, don’t make it any harder than it needs to be for the sake of social media. Do not trust the other runners to know when the bulls are “up in your kitchen.” When the second rocket goes off, there will be hundreds of panicked runners that take off like a scared deer. 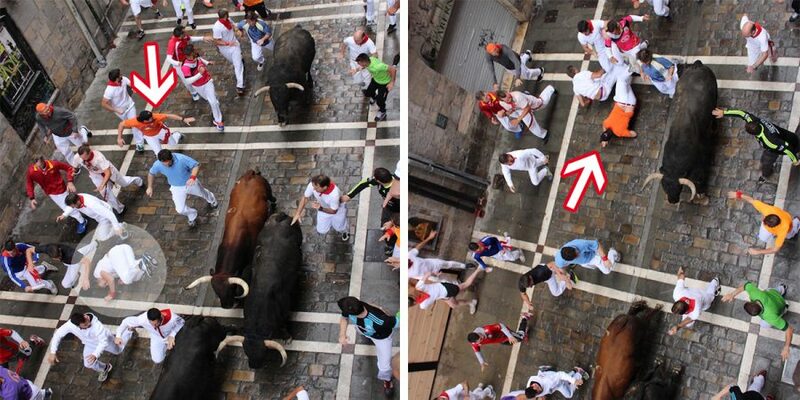 If it’s your goal to run along side the bulls, do not get caught in these currents. 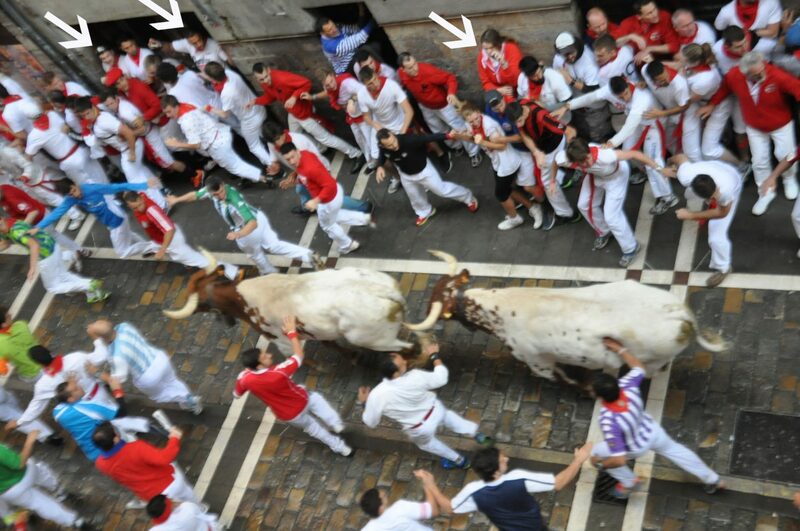 Instead, wait for the camera flashes from the balconies – this is your signal that the bulls are rapidly approaching. This happens a lot more often than you think. The nightly fireworks in the park end at 11:30. The concerts in the Plaza del Castillo begin at midnight. Before you know it, you look at your watch and it is 3 or 4 am. 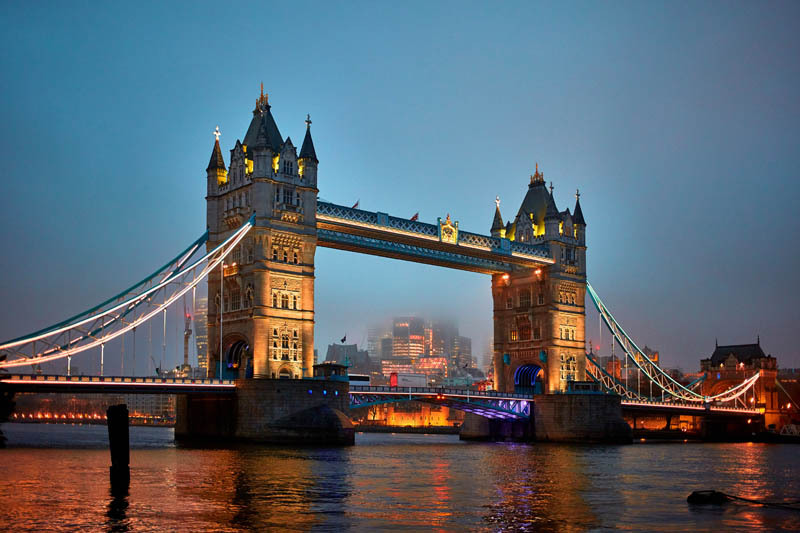 Runners are expected to be in place by 7 am. The thought of staying up through the night will understandably cross your mind, but why would you tempt fate on fumes? 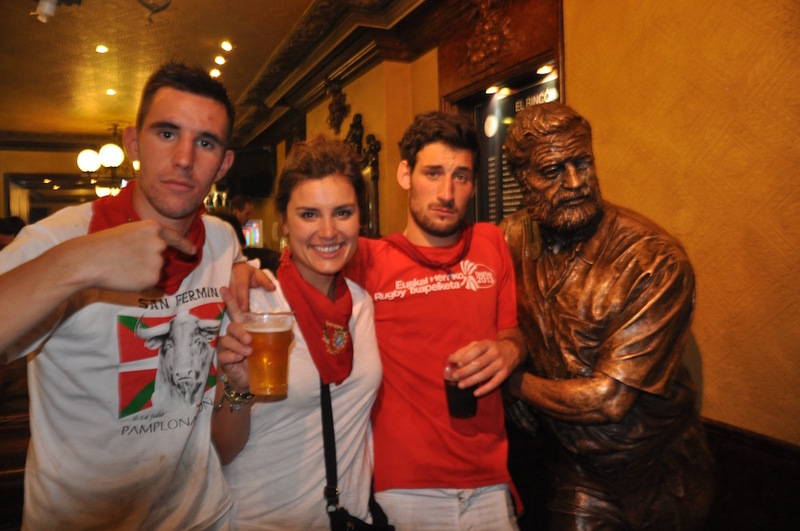 The majority of us will never know the feeling of being introduced to the crowd before a professional sporting event. Heck, most of us didn’t have that experience in high school or college. I am 100% in this camp. 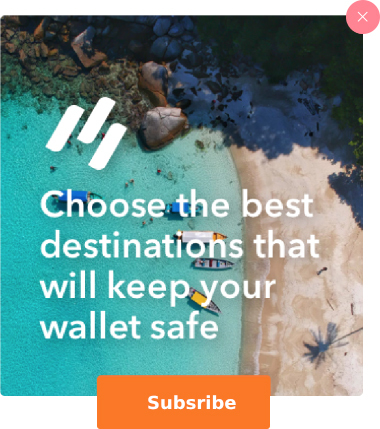 However, as you travel through the tunnel (known as the Callejon) into the arena, you might as well be the star quarterback for the Denver Broncos. 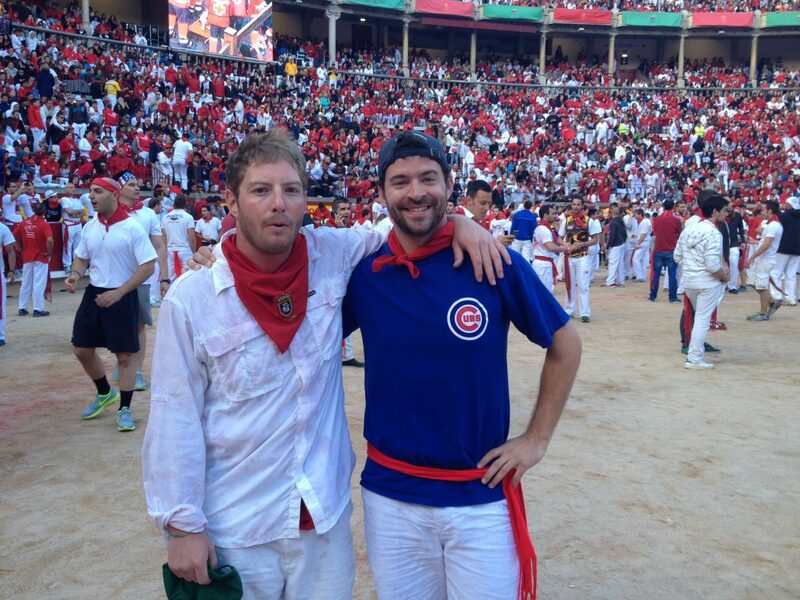 You are greeted by 20,000 people, dressed in all white, screaming as your feet hit the arena dirt. Every one of them is cheering for you…or at least you can tell yourself that. I certainly do.